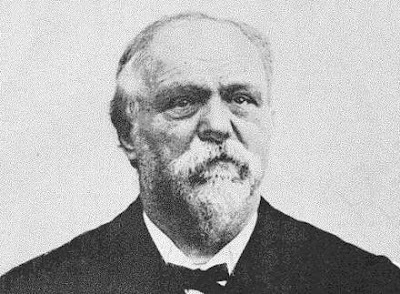 Article [en anglais] : Georges Sorel (1847-1922) was one of the great leaders of socialism at the end of the 19th century and at the start of 20th. 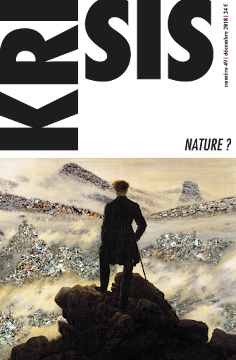 Similar in spirit to Charles Péguy, he was also a reconciler of Marx and Proudhon, he had a highly mystical and moral vision of revolution, which made him hate reformists “like Jaurès,” who he said were ready to sell the purity of socialist ideas in the name of a policy of conciliation with bourgeois and parliamentary democracy. For Sorel, like for Proudon, the purpose of the fight for justice was firstly moral: men must strengthen their character through the exercise of struggle. It is exactly through the free action of syndicates that the working classes can preserve the greatness of their culture, free from any purely political purposes. Furthermore Sorel defended the values of the producers, attached to work, effort, creativity, and the shaping of material, in opposition to the decadent values of the propertied, only concerned with enjoyment and profiting from the work of others. It was firstly and above all the nihilistic hedonism of the bourgeois world that repelled Sorel, as well as the absence of convictions that was inevitably its corollary, the small-mindedness, the pettiness, the narrowness of view. But paradoxically, in the eyes of the thinker, there was hardly any difference between the morality of the bourgeoisie and that of the socialist leaders: if he castigated the mediocrity of present world of money, which no longer even had the force and will that the grand captains of industry of the past demonstrated, he didn’t have words harsh enough for the existential misery that he found in all the reformist compromises, or even in the regular strikes lead by the workers, ready to sacrifice the nobility of their struggle in order to earn a few social advantages accorded for purely clientelist ends. Sorel demanded that they substitute the idea of the general strike, borrowed from Fernand Pelloutier, and destined to serve as the regenerating myth of the worker’s world, in place of the aforementioned strikes. The general strike, he said, must be lead in a spirit of excess, with the goal of realizing the most worthwhile revolution, in which the greatest number are liberated. It must not reestablish an economic logic, but on the contrary aim at an ethical reform of society, furthermore it’s how the proletariat could truly learn to be itself and fulfill all its most remarkable potentials.